A sustainability geek by profession, an actor by heart, and an entrepreneur in the making, Himanshu is engaged with the Planning Commission as a project leader, tasked with creating a sustainable and an Import Independence pathway for India by 2047, marking 100 years of India’s independence, through his project India Energy Security Scenarios – 2047. The project has been nominated for the Prime Minister’s Civil Services Award. Having worked with Dr. Montek Singh Ahluwalia and Mr. B.K. Chaturvedi during his tenure at the Planning Commission, Himanshu has already authored a chapter in the 12th Five Year Plan of India, thus becoming the youngest to do so. He has been deeply associated with the US Department of Energy and the UK Department of Energy and Climate Change in the capacity of project manager responsible for organizing various multilateral and bilateral dialogues between India and other countries. 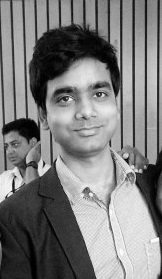 He is an Electrical Engineering graduate from IIT Kharagpur and has worked with the French Nuclear Power Major, Areva, in the past. He runs an India-wide network of energy professionals, YEC, with a membership base of 900 in 8 months. Himanshu also provides pro-bono consulting to Akshara Theatre, one of the oldest theatres in India.